At The Lock Guy, we are dedicated to offering a variety of efficient and secure solutions for the protection of your home and business valuables against theft or damage. We can offer a wide range of domestic and commercial safes to suit your requirements including key, digital or combination varieties which are burglar resisting, fire resisting and environmentally resistant from water or dust. 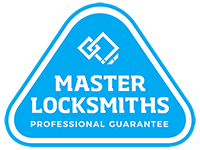 The Lock Guy has provided many years in installing and providing safes as well as servicing them when they aren't working as expected or jammed shut. or you have the lost the key or combination. The Lock Guy specialises and recommends CMI Safes which provide the best protection for safes in Australia. Our recommendations to home and businesses are to make sure you have something that protects your valuables in case of theft and make sure it's fitted and hidden somewhere that provides a solid housing to stop thieves from removing them. That's why we recommend the CMI safes. After many years of use, a safe can lock up and jam shut which will need you to call out a locksmith to service the safe and fix the problem.